Whether you live in one of those places where the water is so cold you are left debilitated and unable to do anything in it or you get an occasional winter that makes your water cold, there is a wetsuit for you. Ask anyone who enjoys diving, swimming and surfing, and they will tell you that the most important thing you need is the best wetsuit you can get. Getting the right wetsuit is something you want to invest the right amount of time in, you can always thank us later. This article has been put together as a guide to assist anyone looking for a wetsuit. The aim is to discuss the things you need to consider when you are choosing one. We will also look at the properties you should look for in a good product. The market is inundated with hundreds of products to select from. This can be perplexing for someone trying to narrow down a search. We took some time to look at the wetsuit market and selected five of the best we could find. Emphasis was given to the manufacturing, value for money, and the way the suit looks. 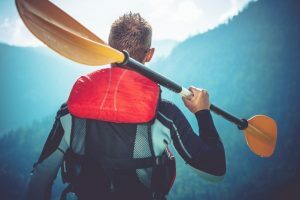 In order for you to choose the best wetsuit, you will need to consider first what you are going to use it for and where you are going to use it. This will assist the professionals who help you to suggest the right suit for you. 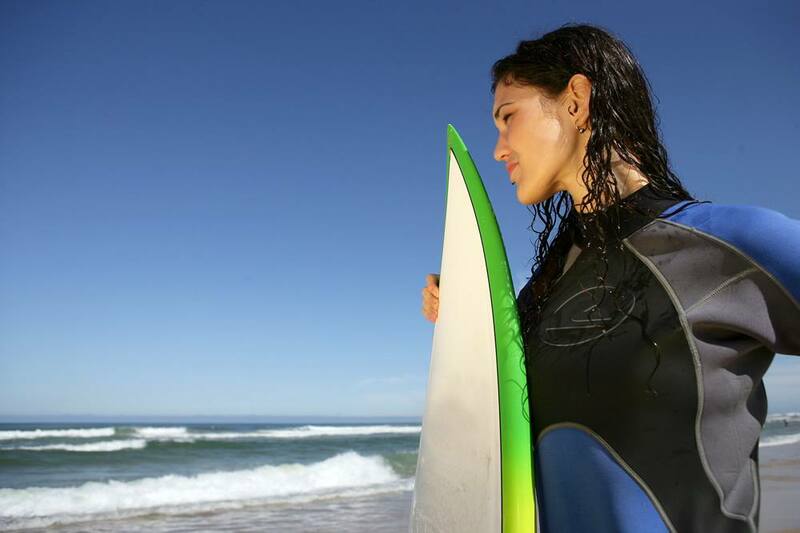 Do you know the different styles in which wetsuits come? You can get a full suit that covers the whole body. You could also choose a spring suit or shorty. These can either be short sleeved or long sleeved and are usually cut off below the knees. Farmer Johns or the Short Johns can come with or without sleeves. Most of the wetsuits are made from the same materials so you may not have a lot to do here. However, you can choose yours based on the construction, especially the stitching. The way your wetsuit is stitched determines how warm it will be able to keep you. The principle is that if any water is allowed to come into the wetsuit, it should be heated by your body and returned inside. Wetsuits with tape and glue are generally more effective at doing this. How good your wetsuit is depends on what and where you are planning to use it. For example, a wetsuit made from thick material will be great when you are diving, swimming or surfing in very cold waters but may be too warm in water that is not very cold. A good suit is one that works for you in a particular environment for a given job. This is the reason why thickness is a very important consideration to make when you are buying a wetsuit. Refer to the wetsuit temperature chart to find out what thickness you need in particular weather conditions. A good wetsuit is not one which has just got the right lining to keep you warm in cold water but also one that fits you properly. You want to mix practicality with style. Check the lining in your wetsuit. Some will have skin which tends to be quite warm, others Polyfleece which is a lot cheaper and some just have neoprene, which if used alone will depend on thickness to be warm. The most important question you want to ask is if the material used for the manufacture of your suit will keep you warm enough. The O’Neill Wetsuits Men’s 3/2mm Reactor Full Suit is designed for someone looking for the best technology in the wetsuit market without breaking the bank. Some of the features you can look out for in the Reactor series include the exclusive Flexidex. This is the reason behind the flexible sleeves and shoulders which come together with a seal neck that is fully adjustable. Add Krypto Knee Padz and you get the idea why this suit features in our good books. We took some time to check out the features we love and the following were some of those that impressed us. The O’Neill Wetsuits Men’s 3/2mm Reactor Full Suit is one of those products whose prices could fool you into thinking that they are bad. However, once you use it you will discover that it is good value for your money. For a wetsuit that is not custom made, it fits quite well even though some may find it a bit too loose on the arms and torso. This really depends on how you are built yourself. Just in case you are not totally impressed with this particular product, we checked for others in the same class and found the O’Neill Wetsuits Men’s 433 mm Epic Full Suit. The main difference between these two is that one is thicker and would work well in weather conditions that are cooler. You could also check out the Sharks Wear Men’s 3/2 mm diving Wetsuit. The Shark’s comes much cheaper but with almost the same quality as the O’Neill Wetsuits Men’s 3/2mm. 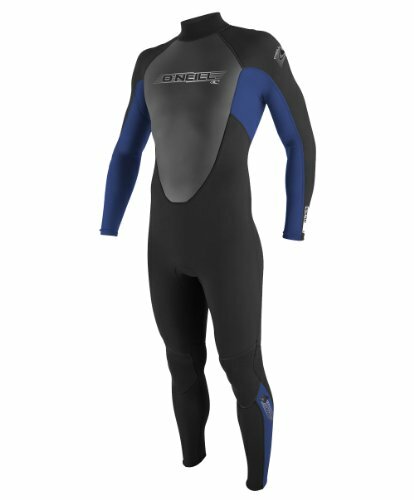 After looking at the features of the O’Neill Wetsuits Men’s 3/2mm Reactor Full Suit we were pleasantly surprised by such high quality at an affordable price. For this reason, we certainly think that this is value for money. 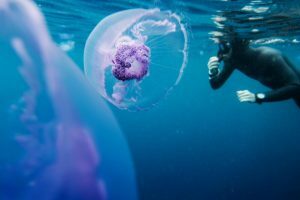 When we compared it to the Sharks Wear Men’s 3/2 mm diving Wetsuit, we actually discovered that there are some in the market that come more affordable. The main idea behind the construction of the NeoSport Wetsuits Men’s Premium Neoprene 2.5 mm Zipper Vest is to ensure that you get the warmth you need without having to sacrifice your ability freely move your arms and legs. Its ability to keep you warm is also enhanced by the concept of smart layering. This is enhanced by the front-zip which wears quite easily either on top of the suit or beneath it. Some of the features that make the NeoSport Wetsuits Men’s Premium Neoprene 2.5 mm a leader of its class include the following. The NeoSport Wetsuits Men’s Premium Neoprene 2.5 mm Zipper Vest is designed to enhance your warmth when you are diving. The sleeveless design makes it easy to move inside it. Anyone planning to pack it for a holiday will be delighted by the fact that it is lightweight and can easily be packed into your luggage. It is constructed using the flatlock seam which ensures that it is long lasting. One product which compares well to the NeoSport Wetsuits Men’s Premium Neoprene 2.5 mm Zipper Vest will be your NeoSport Men’s 2.5 mm XSPAN Vest. XSPAN come with technology that allows you added flexibility when wearing this particular vest. Also, check out for the Layatone Wetsuits 3mm Neoprene Zipper Diving Vest. We love this one because it is quite affordable. At 3mm you also expect it to be a little bit warmer than the NeoSport Wetsuit which comes at 2.5. Approach these thicknesses with care because there are a lot of manufacturers who actually think 2.5 mm is 3. The NeoSport Wetsuits Men’s Premium Neoprene 2.5 mm Zipper Vest is a great looking product which fits well. We can recommend it with confidence. However, ensure that you select the right size for yourself. If you feel that it fits too tight, you may just want to go a size higher, especially if you are not planning to wear it directly on your skin. If you consider yourself to be a big guy who has been frustrated by wetsuits that do not fit well enough, then you have now got a solution. 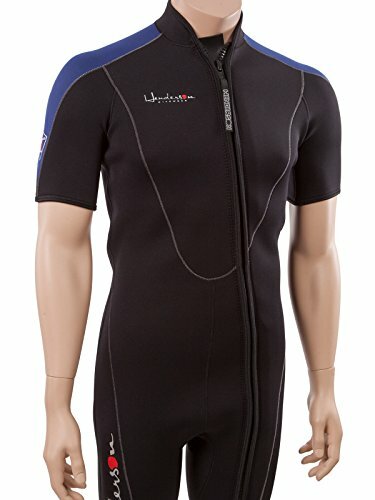 Try the Henderson Thermoprene Men’s 3mm Shorty Wetsuit. It is constructed from a combination of low pill fabric and high-quality neoprene. This is the reason why it can stretch up to 75% more when compared to ordinary neoprene. This capacity to stretch is one of the reasons why it is favored by bigger guys. We took it upon ourselves to check out some of the features of this product before we included it in our list of the best. The Henderson Thermoprene Men’s 3mm Shorty Wetsuit seems to be the solution for any of those guys who have been looking for years for the right fit. The glued seams ensure that the wetsuit does exactly what it is supposed to; to keep you warm in cold water. The wetsuit is also quite easy to get into, thanks to the full-length front zipper. The broad shoulders also make it ideal for men with huge shoulders. One of the products in the market that compares well to the Henderson Thermoprene Men’s 3mm Shorty Wetsuit is the Phantom Aquatics Men’s Marie Shorty Wetsuit. Compare the two and you will conclude that both are great looking products. They both have zips that making getting in and out quite easy. To widen your choice, you can also look at the Layatone Men’s Wetsuits 3mm Neoprene. If your style depends on louder colors, then you will certainly love the Layatone Men’s Wetsuit. Both the suits have the same thickness so you can expect the same warmth from each. The reason why we recommend the Henderson Thermoprene Men’s 3mm Shorty Wetsuit is that it comes in a big range of sizes. Anyone will get a size that fits them. It is also constructed in such a way that it is easy to wear, thanks to the full-length zip. Anyone who remembers to make the shoulders broader in men’s wetsuits knows what they are doing. For these reasons, we can recommend it to all avid surfers, divers, and swimmers who want a light wetsuit for a day that is not too cold. Every woman knows that style and practicality are two things that should be combined in any product she buys including her next wetsuit. The Phantom Aquatics Women’s Voda Shorty Wetsuit is designed with the discriminating and discerning woman in mind. This wetsuit is made specifically for someone looking for just a little warmth to stay comfortable in the water. The colors of the suits are stylish and will complement every woman’s style. Before we put this among one of the best wetsuits for women, we looked at some of the product features. Some of them include the following. The Phantom Aquatics Women’s Voda Shorty Wetsuit is a stylish product made specifically for women. One feature of this product which you will certainly like is the fact that it is fast drying. 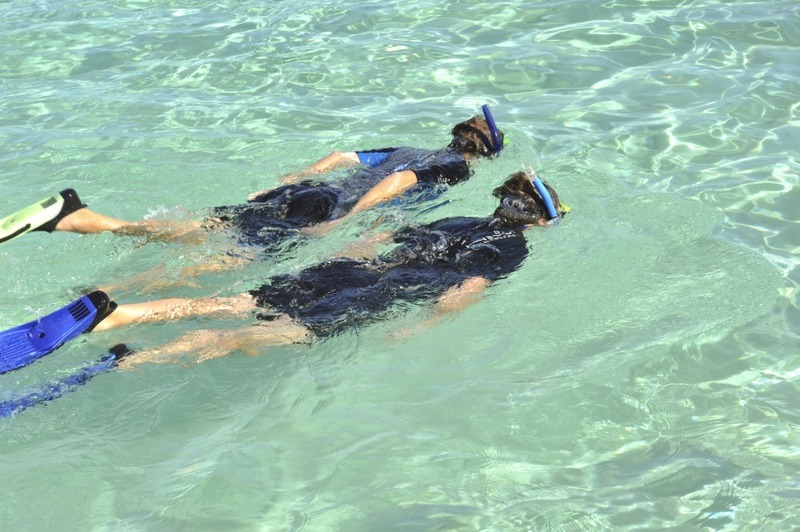 This ensures that you are getting warmer faster after leaving the water. The stretching fabric from which the wetsuit is made ensures flexibility when you are wearing this particular suit. The flatlock stitching warrants that when you are in the water, you will remain comfortable. We also took out some time to look at other products in the same class as this one and we met the O’Neill Women’s 2mm Reactor Short Sleeve Spring Suit. With this particular suite, we were impressed by the chest panel with smooth skin. It is also loaded with other great features. You can also look at the great fitting Cressi Lido Women’s 2mm Shorty Wetsuit. If you are looking for a product made by an experienced manufacturer, the O’Neill Women’s 2mm is that product. The people who make it have been doing so since 1946. The Phantom Aquatics Women’s Voda Shorty Wetsuit is a well-made product that will look great on any woman. We are the first to admit that even though we always look for something bad to say about the products we review, we failed to find anything with this one. This is an indication of the quality of this product. For this reason, we are confident to recommend it to anyone looking to keep warm in temperatures that are not too low. 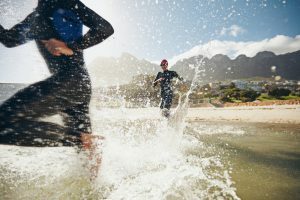 If you are looking for a wetsuit that fits into the entry-level category, then you may want to look at the Xterra Men’s Volt Triathlon Wetsuit 3.2mm with a little more seriousness. The suit is ideal for situations where short distances are the order of the day. The designers of this product were driven by the aim of creating something that provides the maximum comfort in the water. This is shown by the thickness of the suit and the X-Slice coating. We checked the features of the suit and the ones we love include the following. 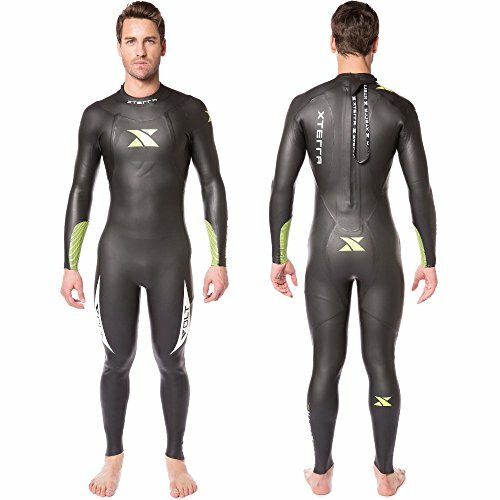 The Xterra Men’s Volt Triathlon Wetsuit 3/2mm is a great product for someone looking for an entry-level product. This indicates that you should not expect it to perform like those top of the range triathlon suits. It is manufactured to be durable while at the same time being affordable. The 30-day fitting period allows you to return it if it happens not to be the right fit for you. If you are looking for similar products in the market to compare with before you make the decision to buy, you can always look at the Xterra Men’s Volt Triathlon Wetsuit Sleeveless 3/2. The sleeveless one will be great for those days when the water is not too cold and the wind is light. We also noticed the great looking Zoot Sports Men’s Z Force 1.0 Wetzoot. The smart thing about this particular suit is that it is made with specific ergonomically molded panels for each gender. We found the fact that this wetsuit can be returned within 30 days of buying it if it does not fit well one of the reasons why we love it. It is not always possible, especially if you are buying online or as a present to get the size right the first time around. We are happy to recommend it because it is both affordable and durable at the same time.